Approximately 80 members of the Utah Air National Guard participated in the humanitarian civic assistance portion of exercise African Lion 2019 in Tata, Morocco, March 25 through April 3. Through the collective efforts of its group and squadrons’ leadership, the 55th Communications Group stood up a new development program in order to ease the career field’s pivot from traditional information technology to cyber defense operations. On this look Around the Air Force, Secretary of the Air Force Heather Wilson is happy with the progress of the B-21 Raider program and F-35 Lightning II pilots conduct initial operational tests and evaluations. Hosted by Senior Airman Jasmine Vanderheyden. On this look Around the Air Force, Secretary of the Air Force Heather Wilson testifies before the Senate Armed Services Committee for the 2019 Fiscal Budget, the 911thAirlift Wing switches to C-17s, humanitarian cargo is delivered to Guatemala, and Guard and Reserve Airmen train for wildfire season. On this look around the Air Force deployed service members are treated with a USO show and Vandenberg Air Force Base assists in a Space X Falcon 9 launch. Hosted by Airman 1st Class Jasmine Vanderheyden. On this look around the Air Force the secretary of the Air Force talks logistics at an Officer Symposium and a Delta II rocket launched from Vandenberg Air Force Base. Three KC-10 Extenders flew from Hawaii and Wake Island Airfield to refuel five C-17 Globemaster IIIs carrying over 300 coalition paratroopers across the Pacific Ocean, July 13, 2017. The hearty yell of the U.S. Air Force Honor Guard’s narrator was followed by a wave of cheers through the crowd of Disneyland onlookers, ranging from nostalgic veterans to curious children. The “Ambassadors in Blue” laced these announcements throughout each drill routine during their recent tour of Southern California where they performed at Sea World, Disney’s California Adventure Park, Disneyland and Mission Beach from June 27 to July 1, 2017. 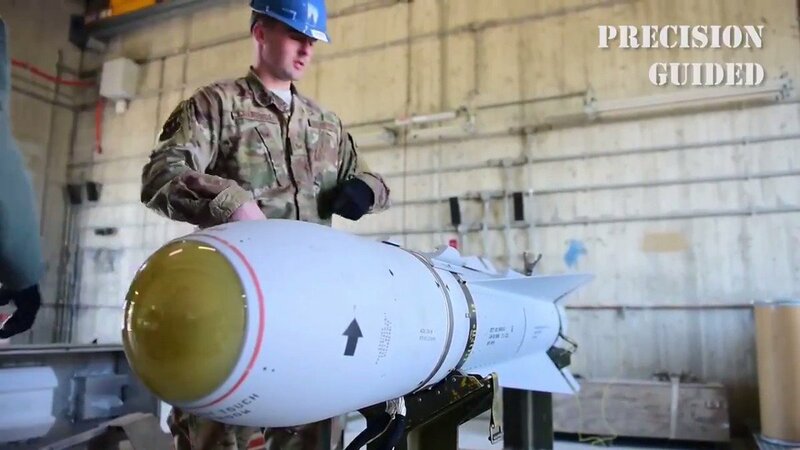 On this look around the Air Force, two F-35As deploy to Estonia for the first time, Global Strike Command Airmen test launch a Minuteman III intercontinental ballistic missile, and the 500,000th person has graduated from the Community College of the Air Force. Hosted by Staff Sgt. Traci Keller. 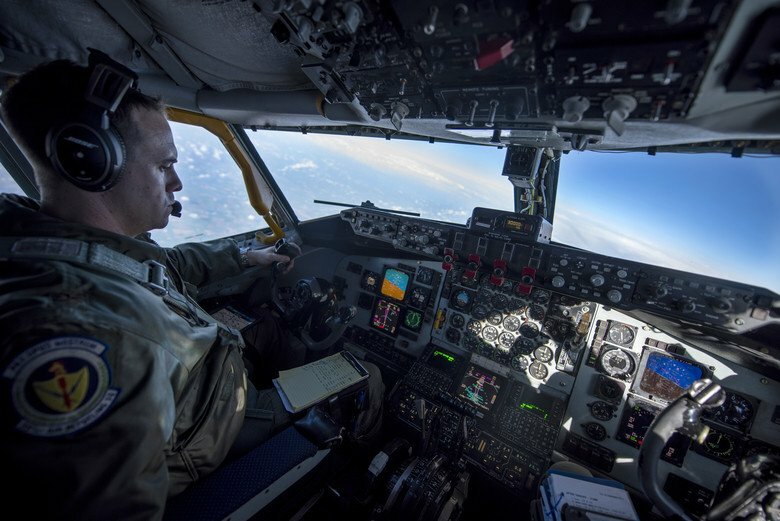 This look around the Air Force features a B-52 Stratofortress accident at Andersen Air Force Base, Guam; Gen. Lori Robinson assumed command of North American Aerospace Defense Command and U.S. Northern Command; and Edwards AFB, California, tested the RQ-4 Global Hawk in icy conditions, without ice.